Two Hard Basket have been an extremely successful duo in Adelaide for quite a few years. Their music style ranges from older dancing hits through the disco of the seventies and eighties to the laid back numbers of the nineties that you can just sit, listen and chill out to. Fast and furious or slow and romantic, they’ve got it. John “The Voice” McKay is an accomplished and highly experienced professional vocalist who delights audiences with a silky, smooth timbre that you don’t often hear these days. Guitartist Dave can pick and strum with the best of them. Whether it ‘s rhythm or lead, Dave’s ability to make the instrument sing provides perfect back-up for John’s vocals. With high quality backing tracks, the boys present a highly polished style far superior to that of the average band playing around the traps nowadays. 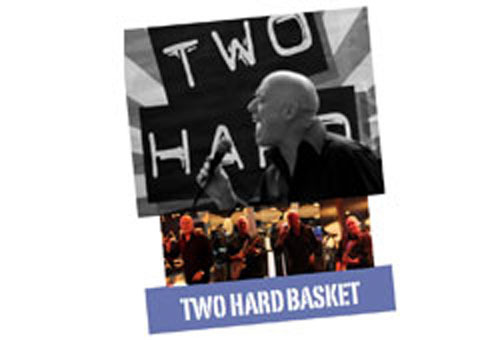 Two Hard Basket are often seen playing at popular music and dance spots including the Marion and Tonsley Hotels, Semaphore Palais and Golden Grove Tavern.